He’s not the sharpest tool in the shed (All Stars by Smash Mouth reference) but he’s sure got a lot of potential. His name is Xavier Alvarez and is brand new to Skyline College journalism class and newspaper staff! He loves drawing his own imaginative cartoons, running , eating, listing to music, the color red and currently single and ready to mingle! 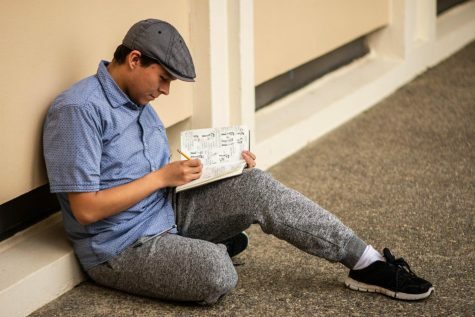 Be on the lookout for his cartoons in the spring 2019 edition of the Skyline View newspaper, and enjoy the year of 2019!